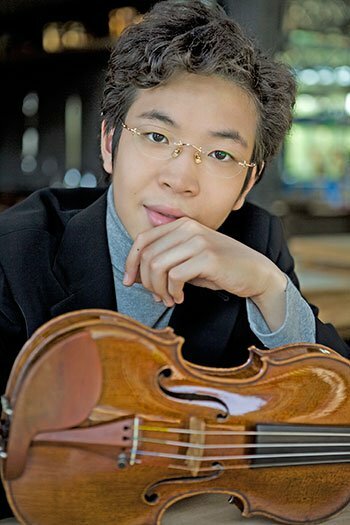 The very first thing you would have noticed about 22-year old violinist Paul Huang was his narrowly focused sound. Whichever of the four strings he was playing, the tone was vividly one of polish and clarity—sounds that might be described as bell-like—his execution displayed a good measure of virtuosity. His program of Beethoven, Ysaÿe, Messiaen, Ravel, Debussy, and Saint-Saëns proved to be as billed: a Young Concert Artists Showcase. 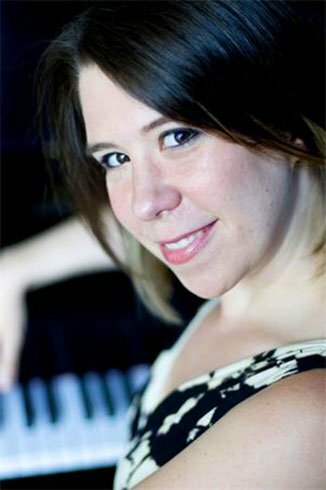 Huang was joined by pianist Jessica Osborne in this Thanksgiving holiday weekend. Not only were the Boston roads shy of their usual traffic, so too was the Isabella Stewart Gardner Museum’s Calderwood Hall a bit shy of its usual sellout and near sellout for Sunday concerts. Nevertheless, a thoughtful audience bid the two young performers fervent encouragement for their obvious early accomplishments and high degree of professionalism. It was only a month or so ago that Calderwood-goers heard Sonata No. 8 in G Major, Op. 30, No. 3 of Beethoven by a duo (Corey Cerovsek and Paavali Jumppanen) a generation ahead of these young artists. The directness in the Huang and Osborne duo performance appealed, but not entirely in evidence were Beethoven’s insignias and moods. While the first movement, Allegro Assai, found the two playing up much of Beethoven’s most remarkable contrasts, their grasp of the following Tempo di minuetto, ma molto moderato e grazioso was that of the exterior, the dance rhythms were all too obvious and any meaningful lyricism vague. Osborne set out with heavy hand rather than a lighthearted and witty one for the Allegretto vivace. Huang continued in an aura of objectivity. Osborne’s near-bravura take (Because of her often aggressive sound, some of us were wondering if Osborne should have had the piano lid on and completely closed.) and Huang’s learned style were not to match up well in Messiaen’s Theme and Variations (1932) and Saint-Saëns Sonata No. 1 in D Minor, Op. 75. Shaping these works became even more than a challenge for the youthful duo. I would have expected exploration and imagination to have come into the picture. I missed the tenderness, mystery, and color inherent in the works of the 20th century French teacher-composer. I missed the in-built 19th century French musical elocution of Saint-Saëns. The always surprising shortness of Pièce en forme de Habanera by Maurice Ravel allowed Huang and Osborne a clear shaping tool. Theirs was a gem-like delivery of the French master’s preciously carved snapshot of Spanish flair. Warmth, though, was missing. For Claude Debussy’s, La plus que lente (Slower than slow), composed to suit the ladies who take tea, the duo found the waltz’s opening atmosphere of melancholy and lingering. The more overt gestures associated with the dance sounded clean, balanced, and planned. Earlier on the program Paul Huang blazed through Belgian composer Eugene Ysaÿe’s Sonata No. 3 in D minor for solo violin Ballade. Huang raced to the technically demanding piece’s exciting ending bursting with pyrotechnical brilliance. This Young Concert Artists Showcase revealed exceptional commitment to the art from these finely educated, emerging young professionals; the poetics of music—its interiors—ought to be their next immersion.